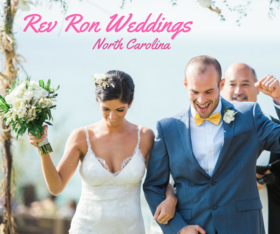 Rev Ron has been in wedding services for over 30 years and enjoys every part of it. Weddings are generally a part of every minister’s portfolio within the local church and his experience was no different. However, when he moved to Las Vegas, NV, 25 years ago, his view and passion for weddings completely changed. Today couples are looking to be wed in non-traditional settings including hotels, outdoor venues, horse ranches, on the beach, in search of a ceremony that reflects their personality and shared beliefs. Non-traditional is what he got when he moved to Las Vegas, NV. 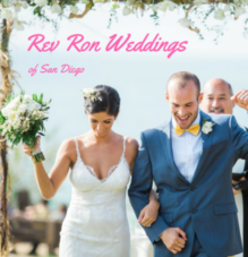 After Las Vegas, the Rev moved his family to San Diego, Ca for 8 years performing weddings throughout San Diego and Orange County area. 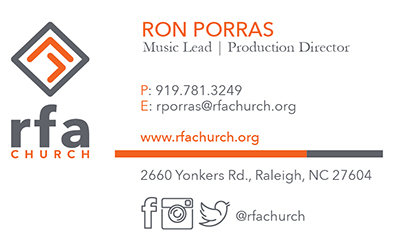 In March 2017, the Rev moved his family to Raleigh, NC to assist his son, Jeremy and wife Candace, in a new project, The Raleigh Dream Center, also known as RDC. RDC brings hope and restoration for all people including those who are isolated and disconnected from God or from society. Of course it wasn't difficult to resist our 2 granddaughters, Janae and Alyssa, as part of the deal. Rev Ron Weddings has partnered with RDC and has pledged to support them by contributing 10% of their income to this non-profit organization. Note that you will be supporting programs that provide food, shelter and clothing to to those in Wake County. 25 years, 80,000 couples married, keynote conference speaker, husband, father and the most experienced wedding officiant in North Carolina. Se habla Espanol. Las Vegas was anything but normal for a traditional wedding. He's performed weddings on the top of the Eiffel Tower, Paris Hotel, over the strip in a helicopter, at the waterfalls of Mandalay Bay, and yeah, Elvis always sang a song or two. Weddings with celebrities included: Melissa Joan Hart, Stevie Wonder, Stevo, Aissa Wayne-daughter of Actor John Wayne, baseball’s Darryl Strawberry and Phil and April Margera on MTV’s Viva La Bam with Bam Margera. Season 1, Episode 4, “Bam Goes to Vegas”. The Rev. averaged 100 weddings per week for a total of more than 80,000 happy couples.